Woo Hoo!! I was on Afternoon Live again. 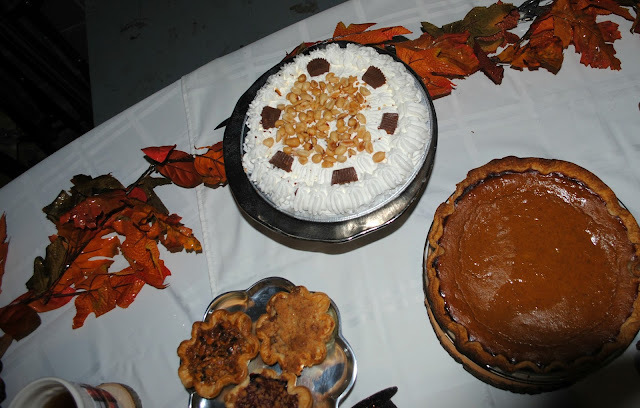 If you missed my Halloween entertaining party tips check it out here. 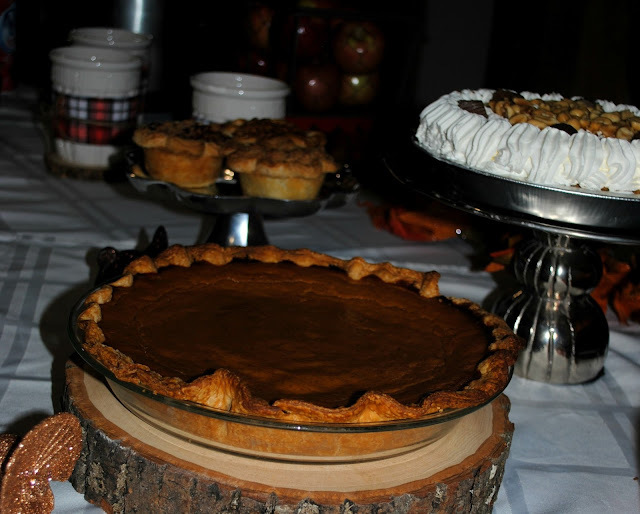 This time I'm bringing you easy Friendsgiving party tips. Seriously, these are so easy but add that fun party factor. Let's take a look. Now I have to warn you first, the pictures are not high quality because backstage doesn't have the best lighting and it's not pretty like on set is. You're guests have arrived and dinner isn't quite done. Direct them over to the hot cider bar, tell them to mix a drink and get comfy, dinner will be in a few. 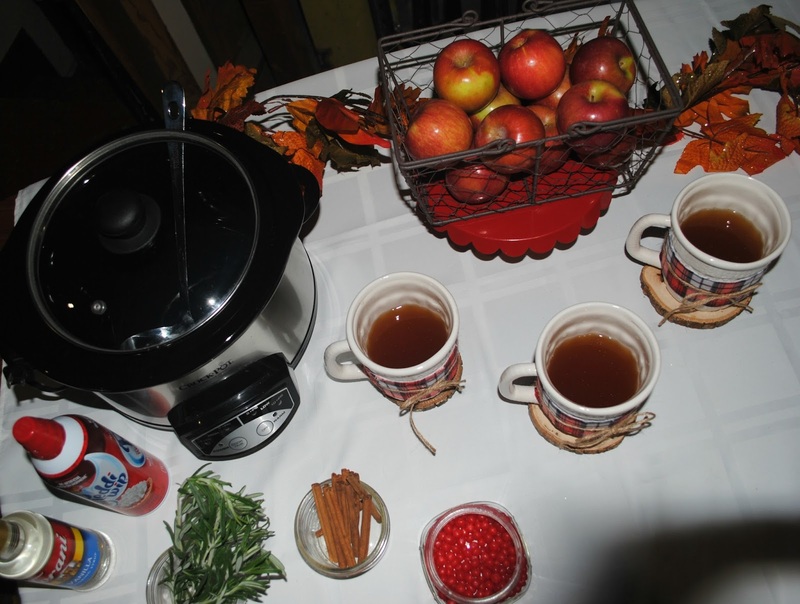 Serve the hot cider in a crock pot so you can make it and forget it. 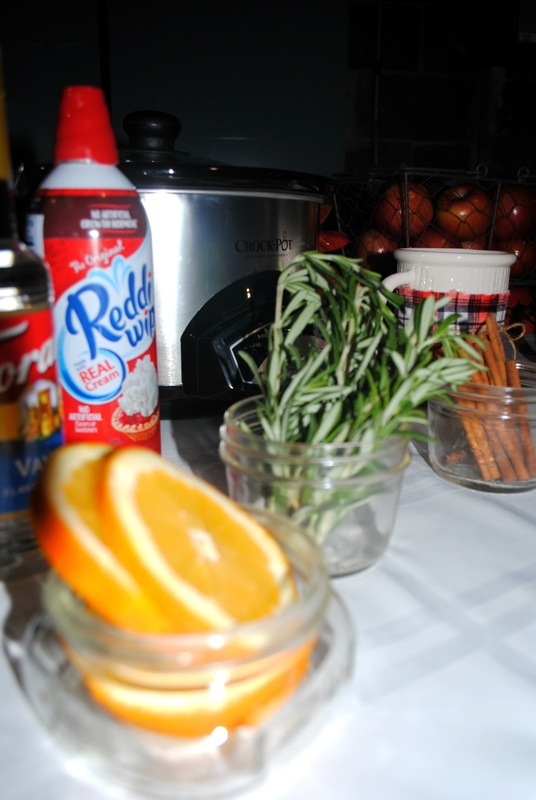 Have 'toppings' for your guests to add to their hot cider like whipped cream, vanilla syrup, rosemary sprigs, cinnamon sticks and red hots. A basket full of fresh apples adds a party detail to the table. When you invite your guests and they say, "Can I bring anything?" Say heck yes! Bring a pie. If you're making the main meal no reason to stress yourself out making dessert too. They can bring restaurant bought like the whipped cream peanut butter pie, home made like the pumpkin pie or pie holes from The Pie Spot. 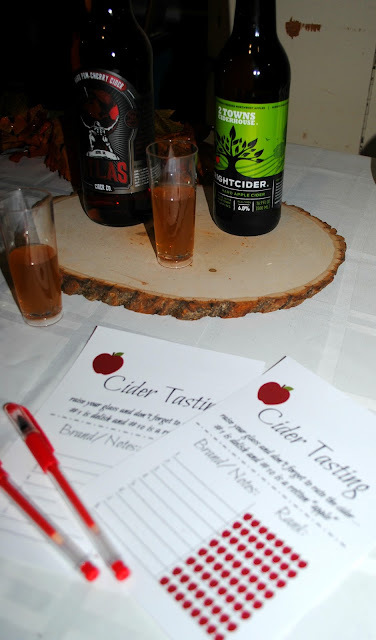 After dinner host a hard cider tasting. 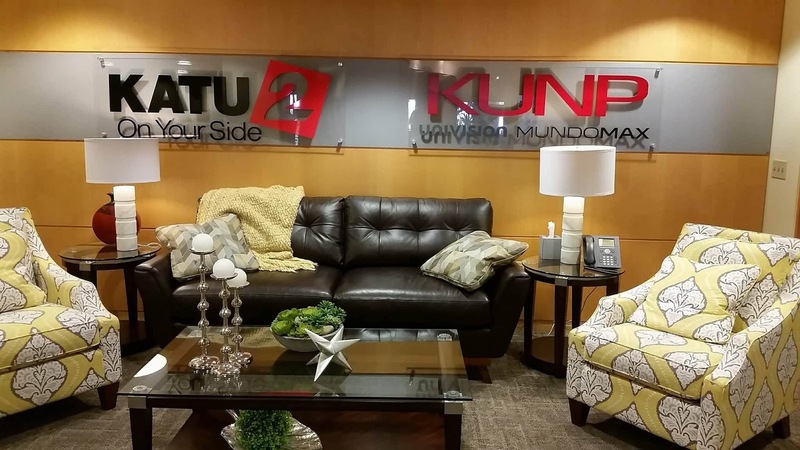 Of course you'll want to have more than two choices. Since this was just for the filming of the show I didn't want to buy a lot. Make your hot cider bar interactive and tasty by setting out fresh orange slices, whipped cream, vanilla syrup, cinnamon sticks and rosemary twigs. Don't forget the fun red hots. 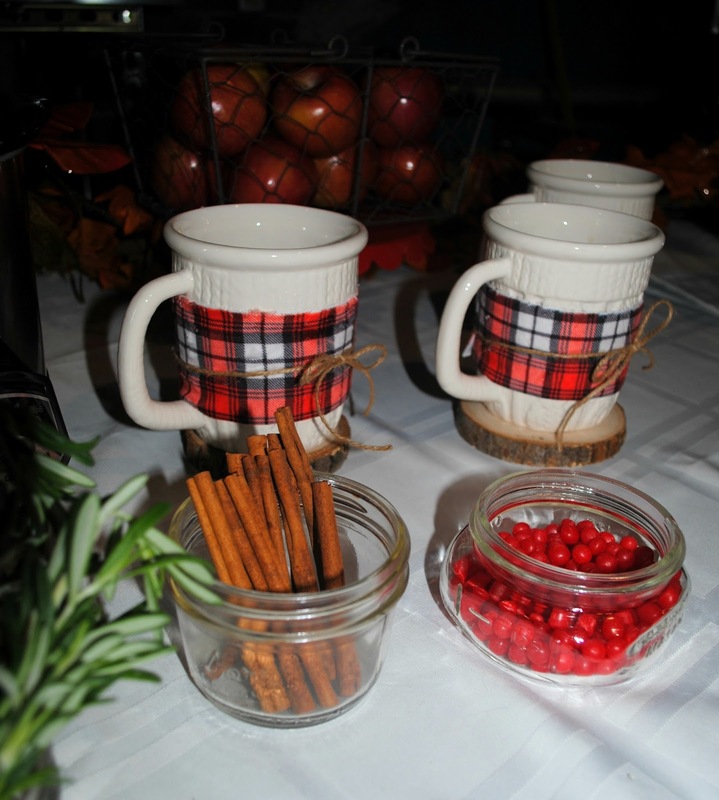 Plain white mugs just won't do on a hot cider bar. 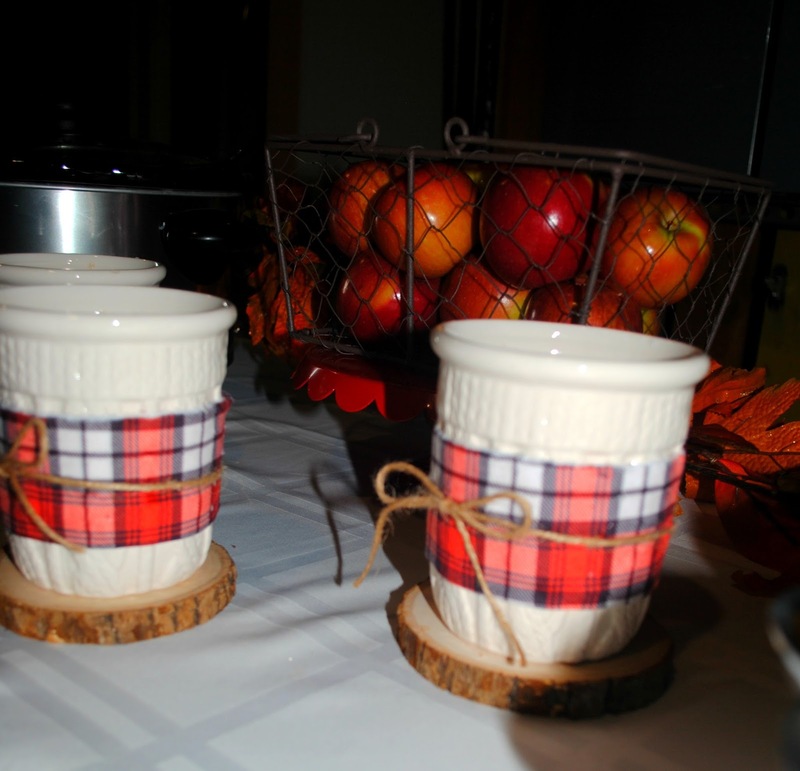 Wrapped them in plaid fabric and tie some jute around them to give them a cozy holiday feel. 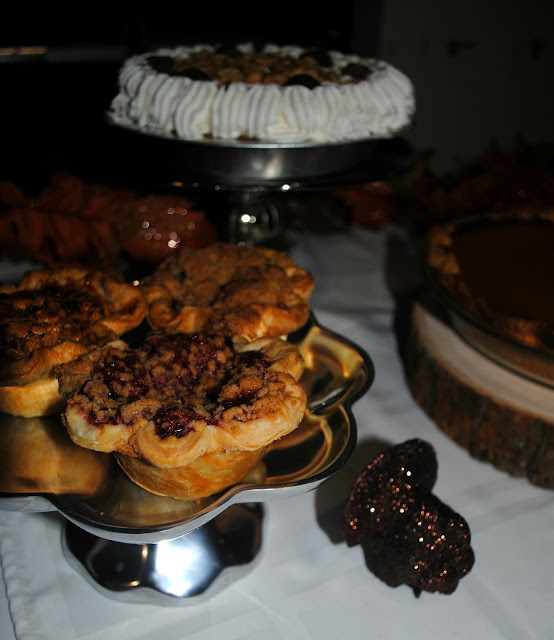 It was hard not to eat all these pies after filming the segment. The whole pies we took home but those pie holes from Pie Spot didn't make it out of the back area of the studio. The crust was flakey and the fillings were delicious. Marion berry, chocolate hazelnut and brandy apple. Yep, that pie crust is a little done. I made that pie. 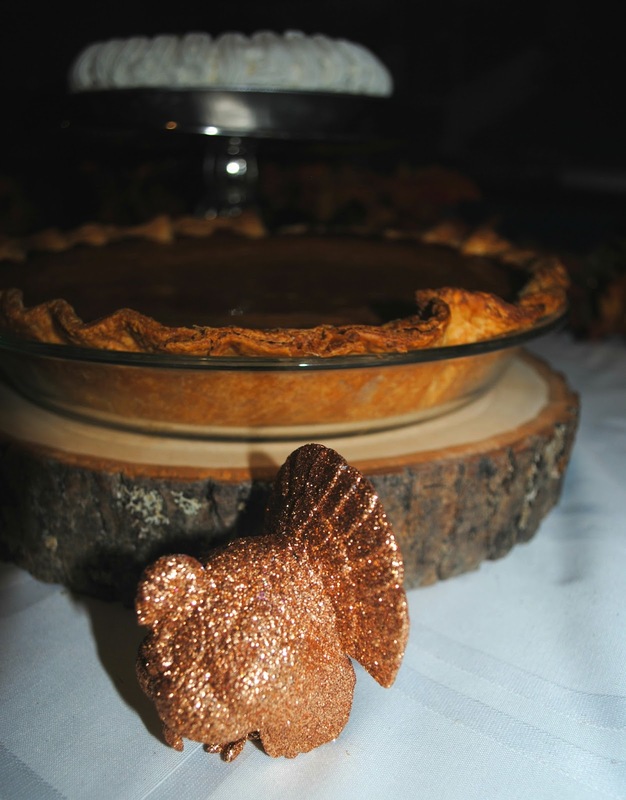 My man likes his pumpkin pie firm so I leave it in the oven a little longer than the directions call for. I suppose I could put tin foil over it so the crust wouldn't get so done but meh. The pie tastes delish and that's what matters. For your hard cider tasting pick up some small glasses from a dollar store like the ones I used here. Have a piece of paper and pens on hand for your friends to jot down notes of the ciders they tasted. Or, get in touch with my friend BellaGrey Designs who created these printables for me. 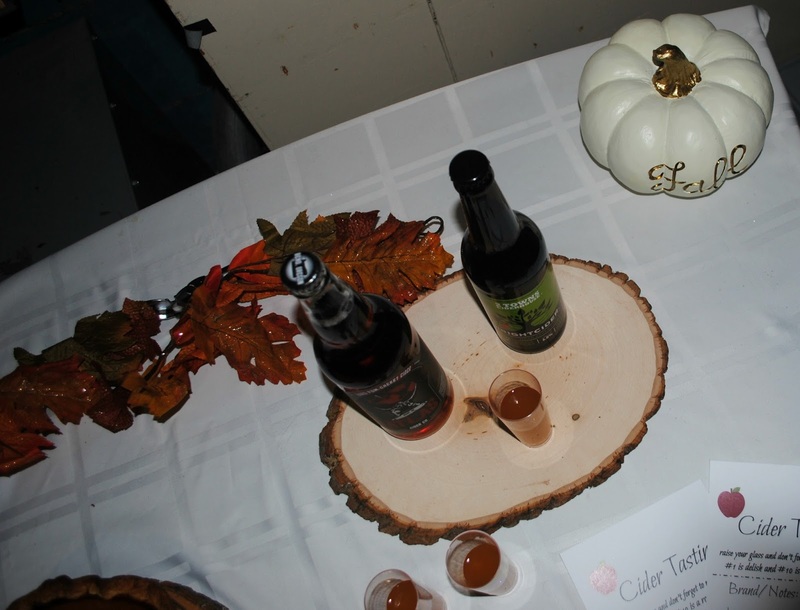 A cider tasting is a fun idea!